To buy tickets for this event please visit the events page: Disco Stu's Jungle Boogie event tickets. 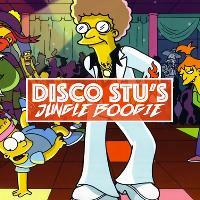 Disco Stu is the king of Disco Music and he's bringing his Jungle Boogie back to The Lanes! So polish up those rhinestones, change the fish in those platforms and join us for the ultimate Disco Party. Music from Disco Stu's friends including Donna Summer / Chic / Earth, Wind & Fire / Michael Jackson / Jackson 5 / KC & The Sunshine Band / Barry White / Abba / The Bee Gees / Kool & The Gang / Candi Stanton / Village People / Gloria Gaynor / Diana Ross / Evelyn King / Stevie Wonder & more.